Santa Maria has been serving the women and children of Houston and surrounding areas since the mid 1950s. By offering vital services and life changing support, the organization offers a pathway to success through recovery. Santa Maria will continue to evolve to meet the needs of those we serve by expanding and refining our continuum of care, delivering services with the highest level of professionalism and compassion. Moving forward, Santa Maria will continue to expand services for the entire family unit, ensuring each family member and the family as a whole is supported and empowered with a strong foundation for success. 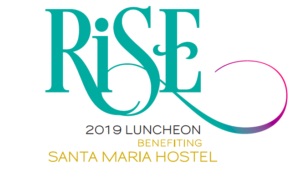 Santa Maria provides critical and life changing services for low-income, indigent women age 18 and above and their children from Harris and the surrounding 12 counties. Our women face many challenges to their recovery, including histories of trauma, criminal justice and Children’s Protective Services involvement, and homelessness or housing instability. Many also have co-occurring mental and physical health issues. Their children and families struggle with these issues as well, and so together we support the entire family on their recovery journey. For a complete list of programs and services, click here.